To support energy reliability, security, and independence, Trimark's Microgrid Control (MGC) solution unifies management of generation resources, loads, and protective equipment. Trimark's solution maintains equilibrium by continuously monitoring the state of the grid and coordinating commands across appropriate subsystems to accomplish your desired microgrid strategy - safely, automatically, and effectively. A microgrid or hybrid power grid is a localized power grid that can operate both independent from, and connected to, the utility electric grid. A microgrid supports secure electric power supply strategies required to operate critical infrastructure within a defined area, such as a campus or military base. Microgrids may include multiple static and variable generation sources and energy storage; loads with varying criticality and a variety of grid-related sensors, meters, and safety equipment. 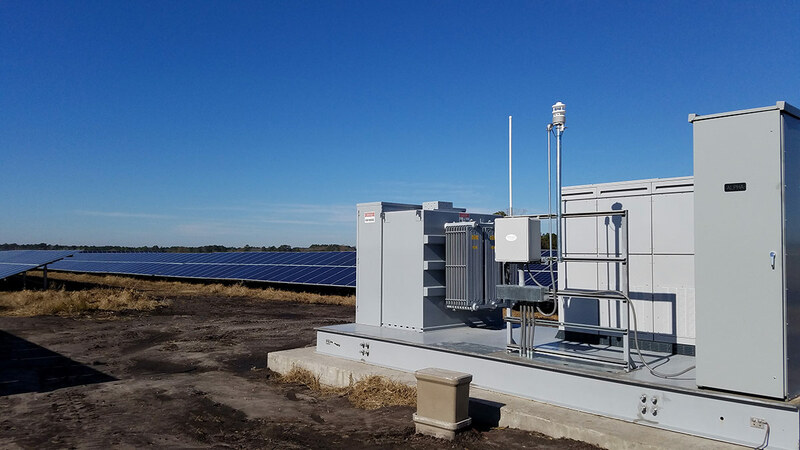 Coordinating the disparate elements within a microgrid toward a specific energy management objectives is a challenge – particularly when transitioning to islanded mode and while reconnecting to the utility grid. 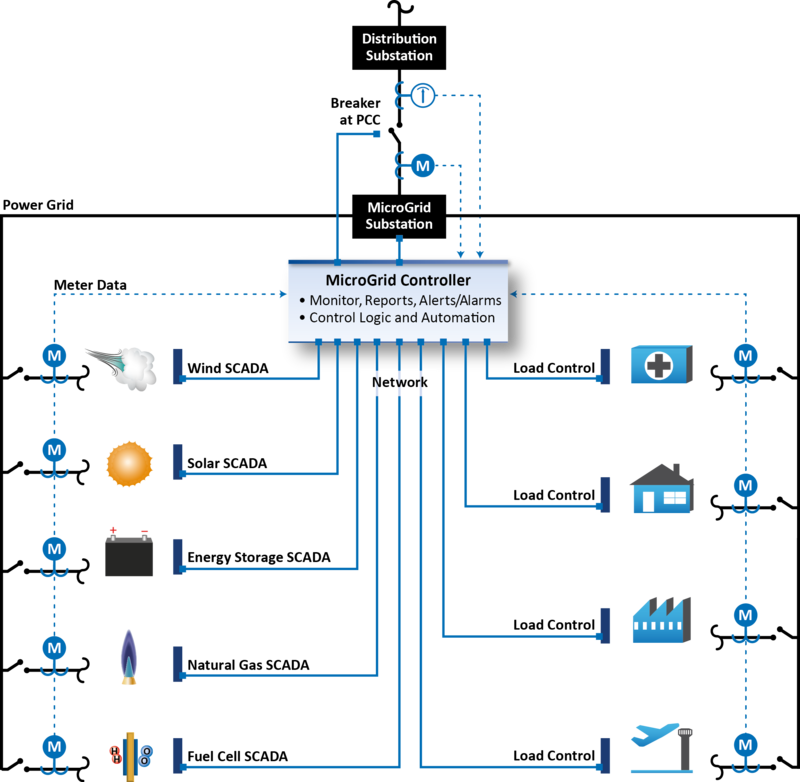 Microgrid operators require status on resource and load, real-time electrical conditions throughout the microgrid, and precise frequency at the Point of Common Coupling (PCC) with the utility electrical grid. Whether for steady-state operation or managing mode transitions, operators need automation to coordinate all of the sub-second responses and actions associated with safely disconnecting, shedding load, starting up resources, and discharging storage – all while maintaining appropriate voltage, frequency, and power factor. To support energy reliability, security, and independence, Trimark’s Microgrid Control (MGC) solution unifies management of generation resources, loads, and protective equipment. Trimark’s Microgrid Control solution maintains equilibrium by continuously monitoring the state of the grid and coordinating commands across appropriate subsystems to accomplish your desired microgrid strategy – safely, automatically, and effectively. Trimark’s Microgrid Control solution provides the master-level control you need to attain your energy security objectives – safely, automatically, and effectively.